An EarthBox is a type of container garden that uses a gradient system with fertilizer that uses high nutrients. The EarthBox comes with a kit that includes potting mix, fertilizer, mulch cover and seedlings. Below the EarthBox container is a water reservoir, which is used to evaporate water back into the plants. In order to refill an EarthBox you must purchase a refill kit from the EarthBox website or local home and garden retailer. The refill kit includes everything you will need in order to start growing new plants. Use scissors to remove the old plants from your EarthBox by cutting off the plants just above the cover line. Remove the cover from the EarthBox. Use a small gardening shovel to dig out all of the old fertilizer and any remaining roots. Add more potting soil mix, if necessary, and water the potting mix so that it’s most all the way through. Form the top of your potting mix into a small mound. Choose a fertilizer and plant placement pattern from the guide includes in your replanting kit. Pour a bag of dry granular fertilizer in a 2-inch wide strip over the mound of potting soil according to your placement pattern. Pat the down the fertilizer, but make sure to not mix the fertilizer into the potting soil. Secure the plastic mulch cover over the EarthBox with the black side facing up. The cover will fit over the EarthBox and attach through a pole. Using your scissors cut a 3-inch “X” shape for each area where your plants will be inserted according to your placement pattern. 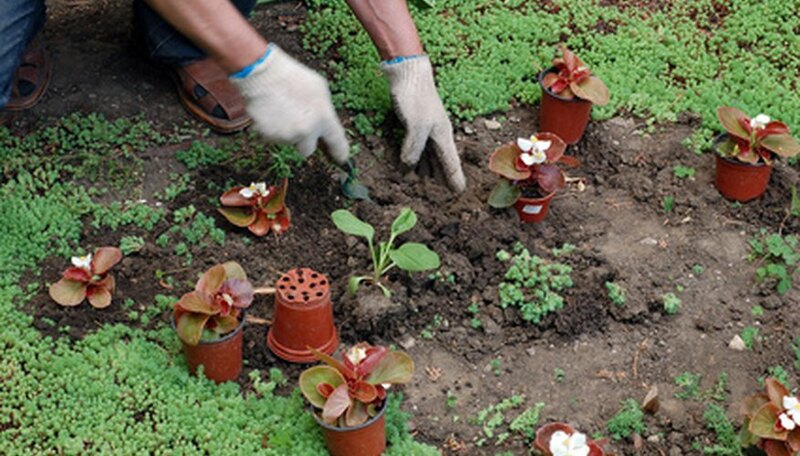 Using your hand dig a 2- to 3-inch-deep hole in the potting soil mix for each plant. Place one seedling into each hole and cover with the soil. Pull back the flaps over each seedling and water the soil so that it’s moist.